Moradi Dashtpagerd, M., Vagharfard, H. (2014). Fuzzy C-Means Clustering Algorithm for Site Selection of Groundwater Artiﬁcial Recharge Areas (Case Study: Sefied Dasht Plain). International Journal of Advanced Biological and Biomedical Research, 2(5), 1367-1376. Mostafa Moradi Dashtpagerd; Hassan Vagharfard. "Fuzzy C-Means Clustering Algorithm for Site Selection of Groundwater Artiﬁcial Recharge Areas (Case Study: Sefied Dasht Plain)". 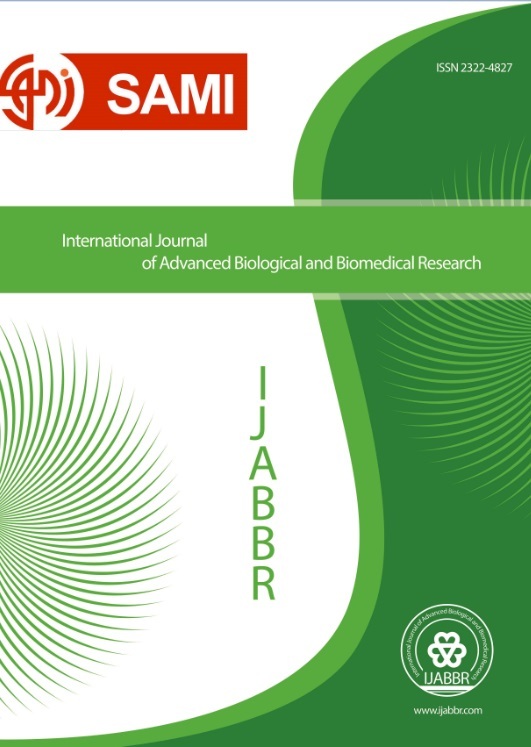 International Journal of Advanced Biological and Biomedical Research, 2, 5, 2014, 1367-1376. Moradi Dashtpagerd, M., Vagharfard, H. (2014). 'Fuzzy C-Means Clustering Algorithm for Site Selection of Groundwater Artiﬁcial Recharge Areas (Case Study: Sefied Dasht Plain)', International Journal of Advanced Biological and Biomedical Research, 2(5), pp. 1367-1376. Moradi Dashtpagerd, M., Vagharfard, H. Fuzzy C-Means Clustering Algorithm for Site Selection of Groundwater Artiﬁcial Recharge Areas (Case Study: Sefied Dasht Plain). International Journal of Advanced Biological and Biomedical Research, 2014; 2(5): 1367-1376. Artificial recharge can be an effective method to raise the groundwater table and to resolve the groundwater crisis in Sefid dasht plain. The most important step to successful accomplishment of artificial recharge is locating suitable areas for artificial recharge. Hence this research carried out with purpose of determining suitable areas for artificial recharge in Sefid dasht plain. Slope, surface infiltration, alluvial thickness, alluvial quality and land use parameters were analyzed, classified and map of every parameter prepared using GIS. To overlay the affective parameters in artificial recharge was Fuzzy c-mean models. Results showed that 16.2 percent of Sefid dasht plain is suitable for artificial recharge based on Fuzzy c- mean model. Using land use layer this value decreased to 4.5 percent. So land use in is a limitative parameter in study area.